Took off the trans pan and broke 4 bolts! What is the easiest way to get them out? I don't really want to have to mig a nut on upside down and near the aluminum pan rail. I did not realize the bolts that broke may have been exposed on the backside and had corrosion. Last edited by spasm3; 02/24/18 03:00 PM. Drill the centers and use a bolt extractor kit. Spray them with your favorite liquid wrench or equivant fluid and let them soak overnght first. A broken bolt is a broken bolt, it doesn't matter if its on a transmission or a lawnmower. Center punch the broken bolt and drill a small diameter hole through the center of it (center punch it first and drill straight) then work up the sizes until its almost gone then use an easy out (not the coarse spiral kind fine thread is ok). LH drill bits would be the best option but even without its not a big deal as they are straight through not a blind hole, I do this almost daily. These are not hardened bolts and drill out easy. Don't use the ones you have to hammer in the pan flange is a little fragile. You can use them but it takes a bit of experience to know how hard you can hit it. Last edited by Trav; 02/24/18 04:23 PM. 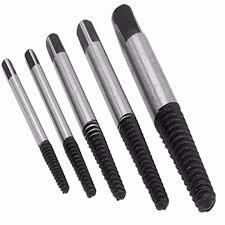 Use a wire brush to de-rust the bolt tips. Then hit them with penetrating oil. If the threads are exposed on the sheared side, give them a tap with a hammer. Then if you can get a bite with vise grips, tighten the bolt just a spec. If you have the purchase to tighten, the bolt, it should back out. My plan B is tried and true, but slow. Go buy some 1/8 bits. Easiest way to make sure you're working with a sharp bit. If you can center punch do so. Center punching the exact ctr ,isn't easy. I have found that it doesn't need to be perfect. The object is to remove the center of the bolt and not the threads. Chances are, the next pass with a 3/16 bit will do the trick. OK I'm guessing a 6 or 8 mm ( 1/4 -5/16) If the bolt is a 1/4, try a 7/32. For a 5/16, run in a 1/4" bit. If you see threads, quit, if not, go to 9/32 Next use a small screwdriver to dig what little metal is left away from the threads. By the 4th bolt you should be good at this. Well intentioned people will urge you to use an EZ out. I urge you to be patient and deft. Well intentioned person here and also a pro. You need to be pretty good with a hand drill to drill a hole on your back under the car accurately enough to pick the threads out, drill press not a problem. An easy out is fine if there is very little left and you don't use a lot of force. I agree if there is enough left to get vise grips on then sure give it a go but I assume the OP is smart enough to know that if he is changing transmission filters. Last edited by Trav; 02/24/18 05:50 PM. The PROTO kind are the best. They will work beautifully if you take the time to do the research. They are good, the spline type is also good the only drawback is they need to be hammered in. 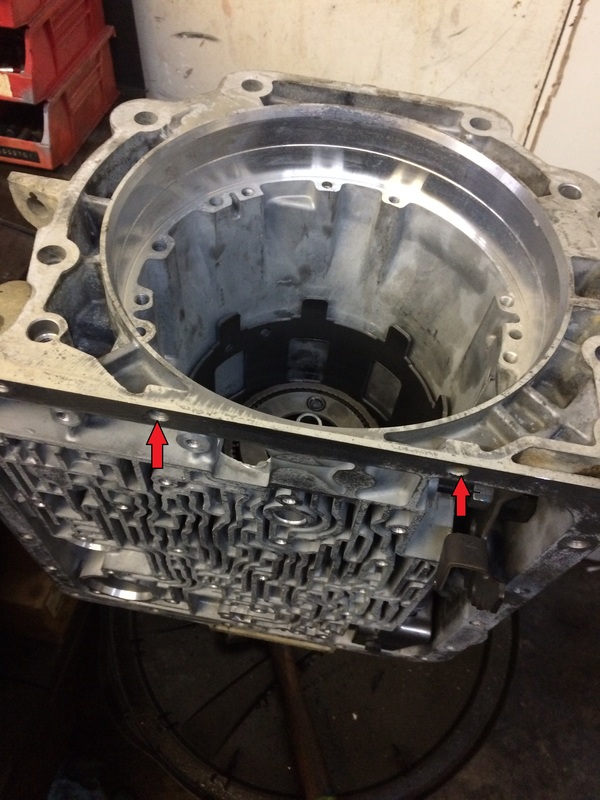 If you have experience it not a real issue but the aluminum flange on the transmission is easily broken in you start beating on it hard enough. Break or crack that and you have a big problem. 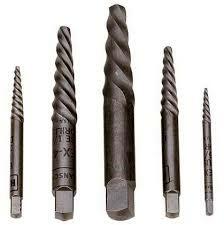 If you decide to break out the drill, look into getting some left hand drill bits. If you're going to be drilling it, may as well drill it the right direction. Sometimes the bits will bite hard enough to start turning the bolt, especially as you start stepping up in size. My experience, FWIW. you can cut a slot with a dremel and remove with screwdriver. Thanks guys, guess i will break out the drill. Thanks Trav. I have larger fluted extractors, i've used them before, but i was worried about whapping on the aluminum pan rail. I saw a norseman extractor set but its not fine thread like you suggested. If you get most of it drilled out they should work okay, use a tap wrench on it. The fine threaded ones have more meat because of the shallower flutes so they are a bit stronger and they get more flutes in the broken bolt. 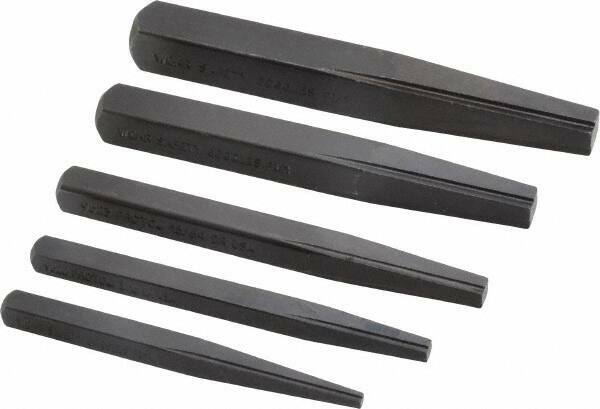 Like all of them except spline type they have a tendency to jam the broken part tighter in the hole as they act like a wedge if you really go to town tightening them. Easy outs are generally better suited to removing broken bolts that broke installing not ones that broke removing due to corrosion. If the broken bolt is slightly proud of the flange but not enough to get grips on and not flat grind it flat with a dremel or similar or a file making it easier to center punch. Like Trav said.....A broken bolt is a broken bolt! Though I have great luck welding a nut to the stud & extracting it. Just a word of caution about the two front bolt holes directly under the pump......DO NOT bottom a ease out/extractor OR a Tap into the pump sealing flange!!!! It is very thin & easy to distort. This also applies to using to long of a replacement bolt! WOW thanks for that ! I don't remember off hand which bolts are broken, but i think they were on the corners. I love threads where Trav and clinebarger share their experience.